Empire Antiques & Auctions provides custom décor for the discriminating client, including distinguished design plans for any size project. Our objective is to provide total and complete home décor and interior services for you. We take a particular pride in the quality of our pieces, many represent an excellent and distinctive example of its kind. Our Antique items include Lighting Fixtures, Furniture, Accessories, Mirrors, Tapestries, Sterling & Silverplate. 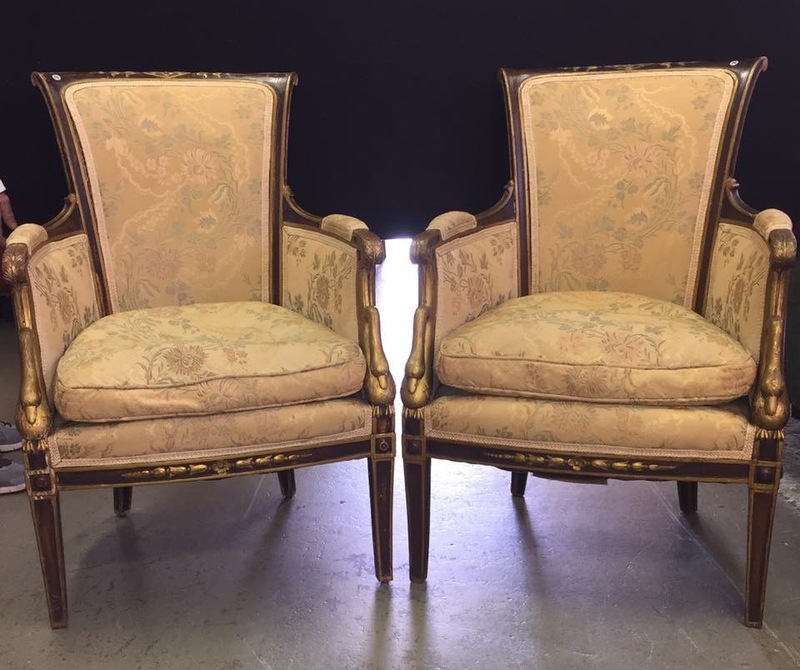 Our Services include Upholstery, Restoration, Appraisals, Buying Services & Estate Auctions. Visit our extensive galleries, centrally located in downtown Hightstown, NJ, minutes from the NJ Turnpike. We at Empire Antiques and Auctions understand that beauty and style should be timelessness. A great example of such beauty is the Biltmore - a private estate in Asheville, North Carolina, featuring a Châteauesque-style mansion built in the late 1800's. Empire Antiques can emulate the beauty of a luxurious mansion for a fraction of the cost! WE ARE YOUR “BILTMORE FOR LESS”! Auctions for estate, moving, household, & business liquidation throughout the state. Securing record setting bids for our clients is the goal for every auction we conduct. For establishments, professionals, as well as individuals. Appraisals are available by our qualified personnel. This service is offered not only to banks, attorneys, insurance companies and realtors, but also to private individuals. Meticulous repair to augment the beauty of the item. Restoration is available for refinishing, refurbishing or remodeling any item made of wood, metal or marble. Attention to detail and Old World craftsmanship is evident in all finished pieces. My name is Gene Pascucci, owner of Empire Antiques, located in historic Hightstown, NJ. We are a 60,000 sq. ft. warehouse dealing in the finest antiques, home furnishings, and lighting fixtures. 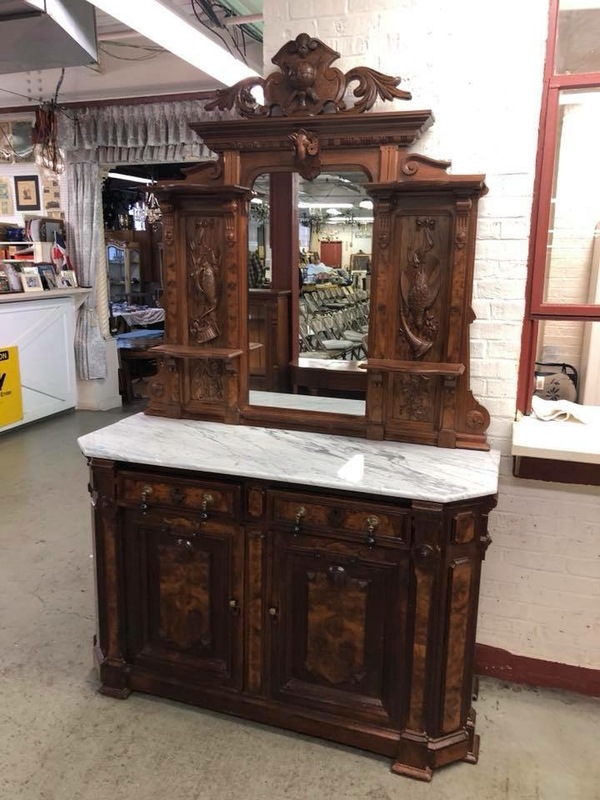 We are one the of the largest antique warehouses on the East Coast offering a diverse selection of fine pre-owned antiques and quality furniture. We specialize in silver, crystal, china, jewelry, coins, stamps, lighting, tapestries, carpets, fabrics, trims, and home furnishings. I have traveled the world to assemble a palace collection for the American trade. Also offered is a complete restoration service from woodworking, expert upholstery, and the ability to create or restore lighting fixtures from wall sconces to palace chandeliers. Our goal is to provide total home décor and interior services for the client. Financing available. 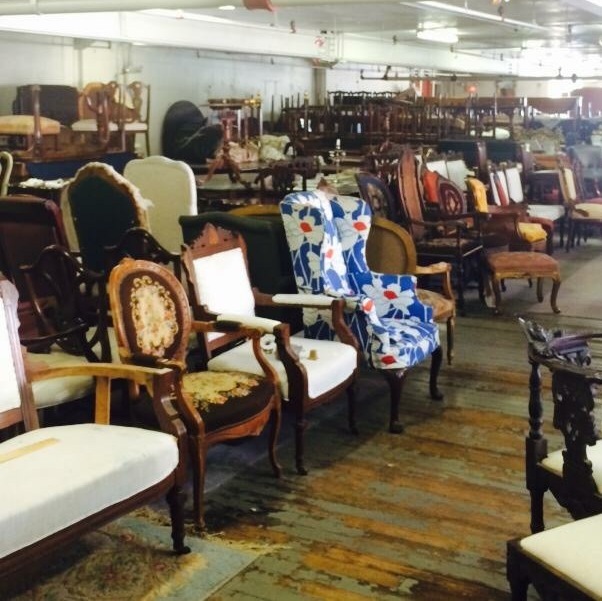 Our full service auction house provides to our customer a complete service consisting of appraisals, clean outs, and auctions on-site in our spacious facility or at your location. Some of our past clients have consisted of Helen Boehm of Boehm Porcelains of Trenton and Lazslo Ispanky. We are consultants to attorneys, banks, insurance companies, adjusters, movers, accountants, architects, designers, museums, theaters, realtors, and historical societies. My 45 years of buying and selling has given me the knowledge, experience, and expertise to create for our clients whatever desired décor they may want or need. We strive for customer satisfaction and the ability to fulfill all of your decorating needs. Please feel free to call, email, or visit our facility for a once in a lifetime experience. We have the capability of furnishing an apartment to a castle. I look forward to hearing from you. Thank you for your inquiry. A representative will reply shortly.